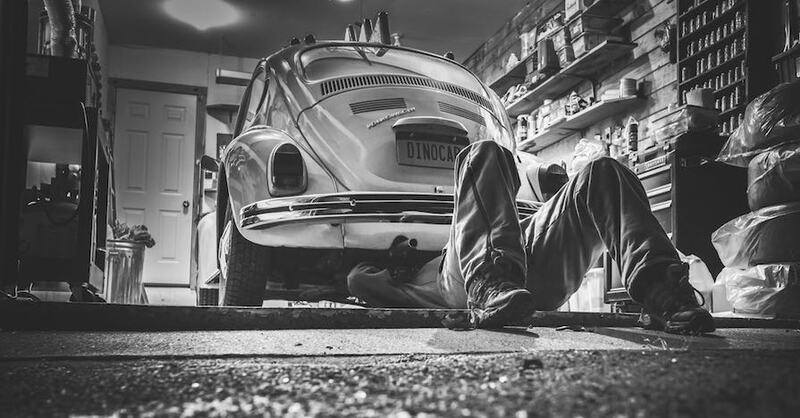 If you have done any amount of DIY auto mechanics or maintenance, you have likely been around RTV silicone. Also known as gasket maker, RTV silicone has many purposes in the automotive world, but it is mostly used to seal parts together. What you may not know is that there are several types of RTV silicone, each with their own purpose. The color is often how each type is specified (kind of like threadlocker), the most common being black, red, blue, grey, and clear. There are variants of each color type. 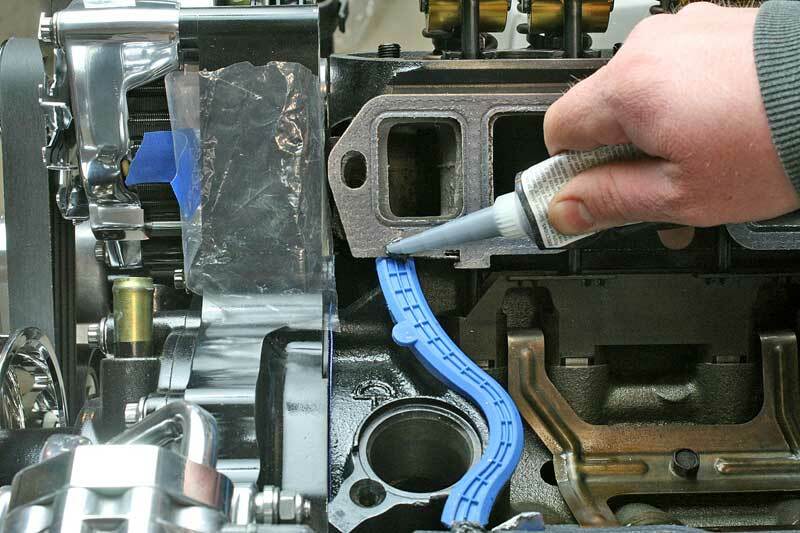 Most applications use silicone as a sealant for gaskets, such as valve covers. The beauty of silicone is that it can take the place of a gasket altogether. Here is a small block Chevy intake, the factory cork gaskets on the ends tend to push out and leak, so it is common to leave them out and just use a bead of silicone instead. RTV means Room Temperature Vulcanizing, which means that the silicone cures at room temperature when exposed to moisture in the air. Most RTV silicones set up in one hour, with full cure within 24 hours. 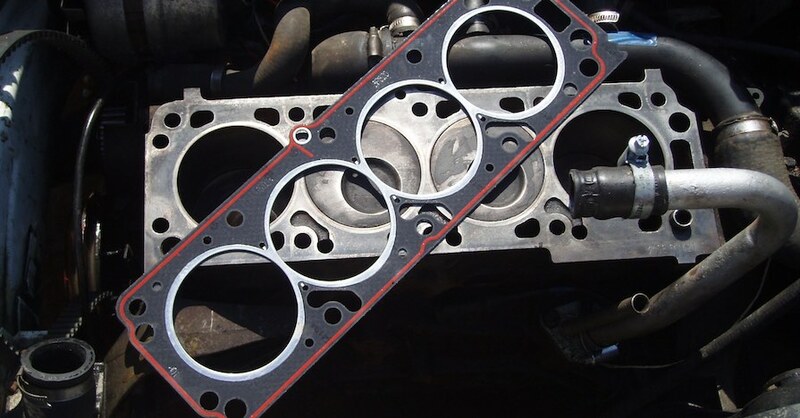 RTV works quite well for gaskets because it has very low shrinkage when cured, and the material remains compliant without being hard or brittle. It is also resistant to gas, diesel, oil, or other automotive fluids, so it won’t disintegrate over time when exposed. Cleanliness is the biggest factor in getting a good seal. 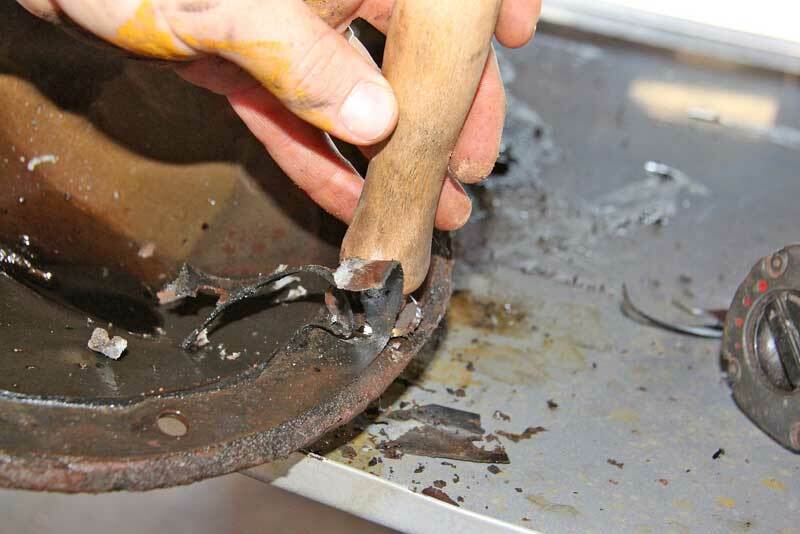 Make sure both surfaces are clean and free from grease and oil before applying the silicone. Each type of RTV silicone, while fairly interchangeable, has its own characteristics that may make one better than another depending on the application. 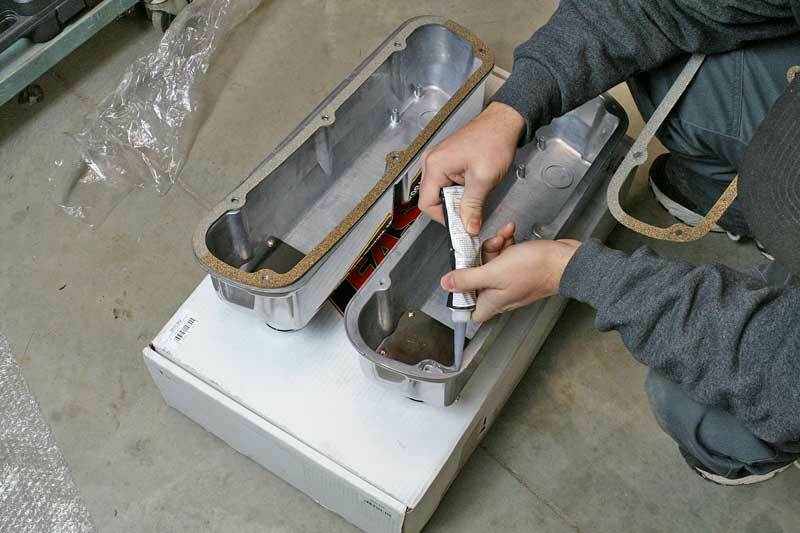 All RTVs can be used for the most common uses – valve covers, timing covers, oil pans, essentially the basic surfaces that need to keep the fluid in and the dirt out. The “specialty” applications are where they start to diverge. 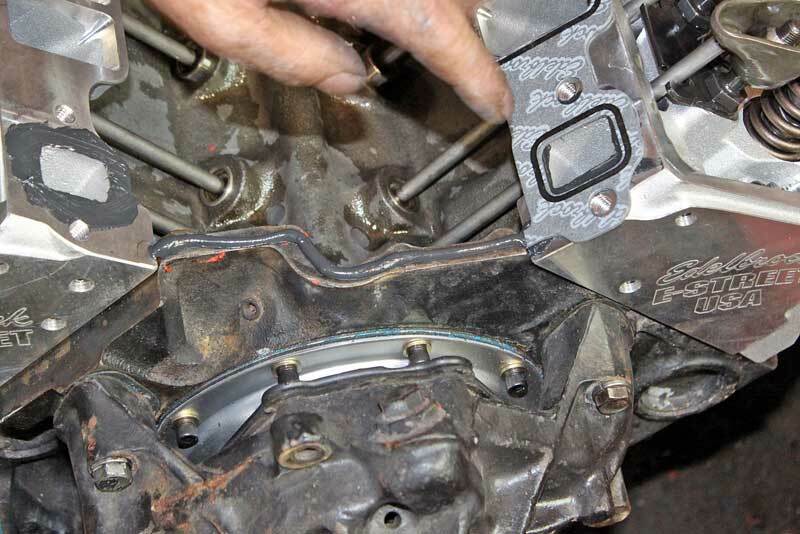 On Ford engines, it is a good idea to add a dab of silicone to the end of the intake gaskets and end seals. This is the general purpose silicone, it can be used for any basic application where two parts need to be sealed. It is not designed for high-temperatures. 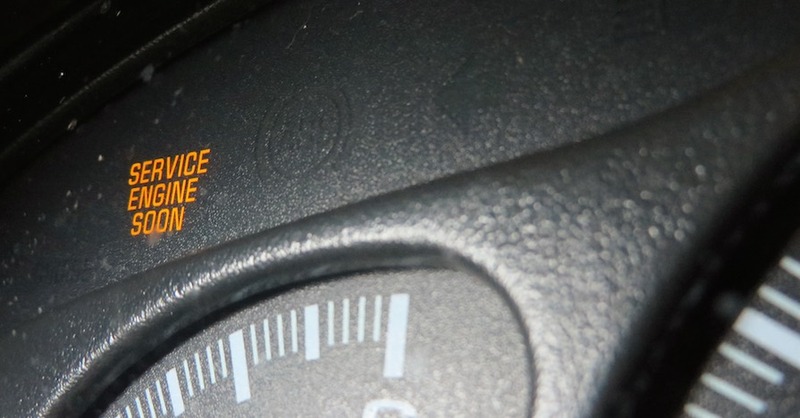 There are a couple of varieties, which include sensor-safe, which means that engine and transmission sensors will not be affected by the the silicone. Blue RTV is typically good up to 450 degrees. Black RTV is the most common used in OEM assemblies. This RTV is general purpose, and is used for sealing metal, rubber, and glass. It is good up to 450 continuous degrees Fahrenheit with temporary resistance up to 500. For applications in which oil resistance is the main function, such as oil pans and timing covers, the “Ultimate” black RTV is the best choice. Ultimate RTV has higher resistance to oil, so it can be constantly exposed to hot oil without any degradation. Plus most “ultimate” RTVs are sensor safe as well. Black silicone is commonly used in Domestic OE assembly, it is for general purpose use. 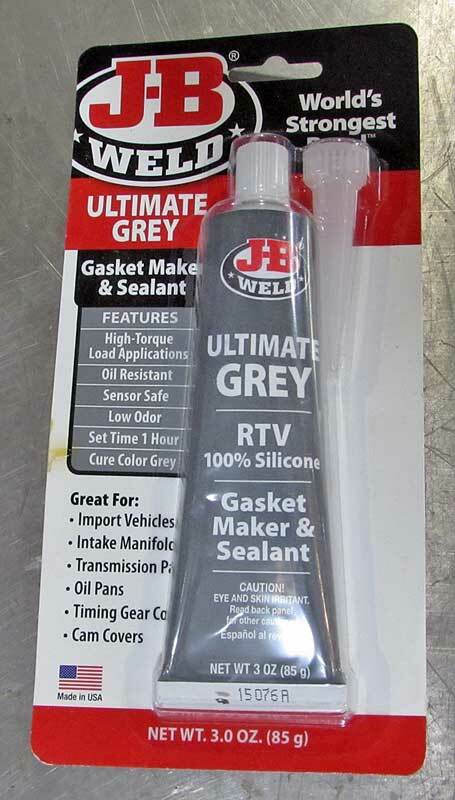 For high-torque applications, such as intake manifolds and close-spaced bolt profiles create higher torque loads on the sealant, grey RTV is used. This series of silicone has much more flexibility when cured than general purpose RTV, and is more oil resistant. If your part will see a lot of flex, Grey is the best choice. 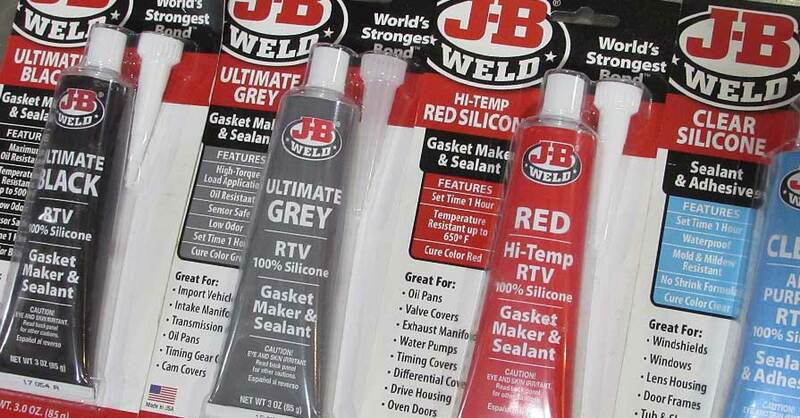 JB Weld Grey RTV is also the recommended silicone for all import vehicles. Commonly used on Imports and high-torque applications, this type of silicone is more flexible when cured. When you need high heat resistance, red RTV is the ticket. Any high-heat application should get red RTV, including exhaust manifolds, drive housings, even oven doors. 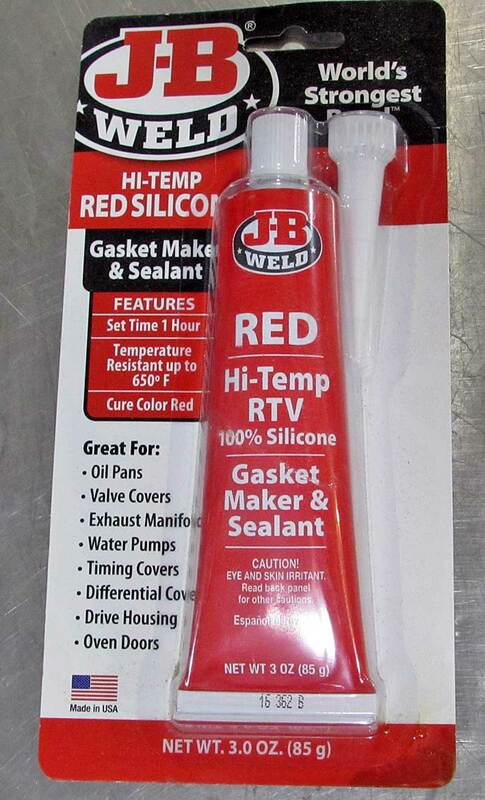 Ultimate Red from JB Weld is sensor safe, so it can be used on O2 sensors. Red RTV is good up to 650 degrees Fahrenheit. Heat tolerance is the specialty of red silicone, as it is good up to 650 degrees Fahrenheit long term. 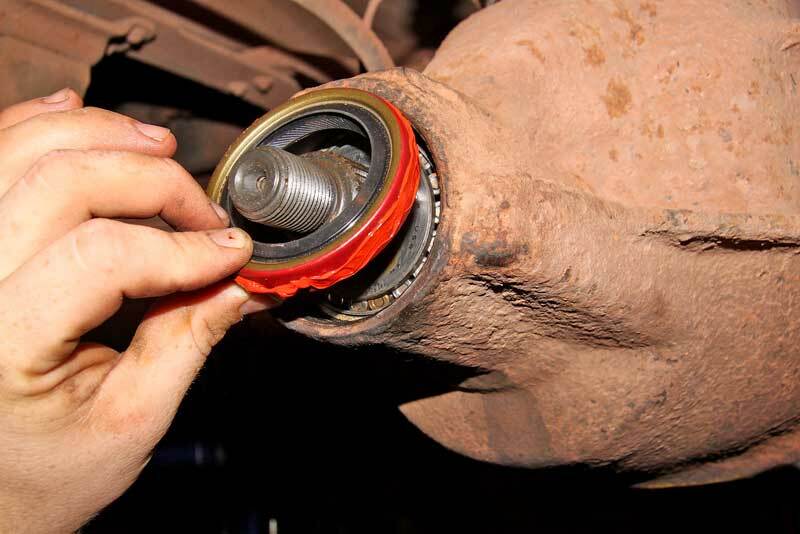 High heat applications, such as the driveline seal on a rear end need red high-heat silicone. 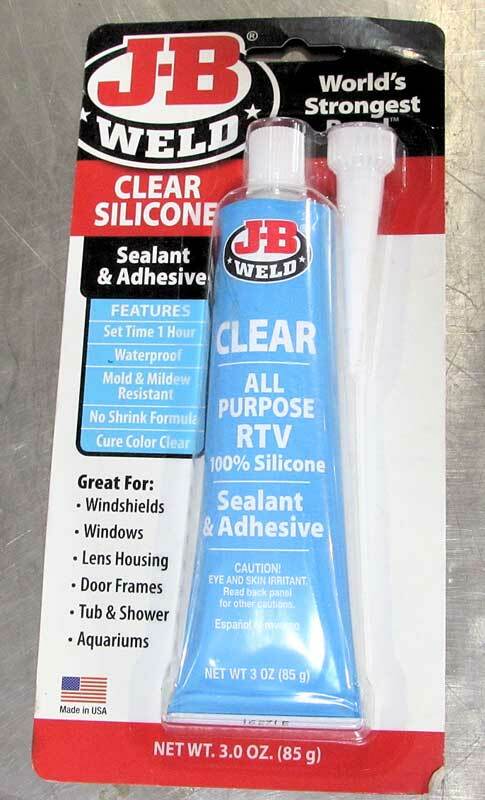 If you don’t want the silicone sealant to be readily visible, JB Weld offers clear RTV silicone. This is perfect for sealing windshields, gluing windows to the track, lens housings, as well as household items such as aquariums and tub/shower applications. 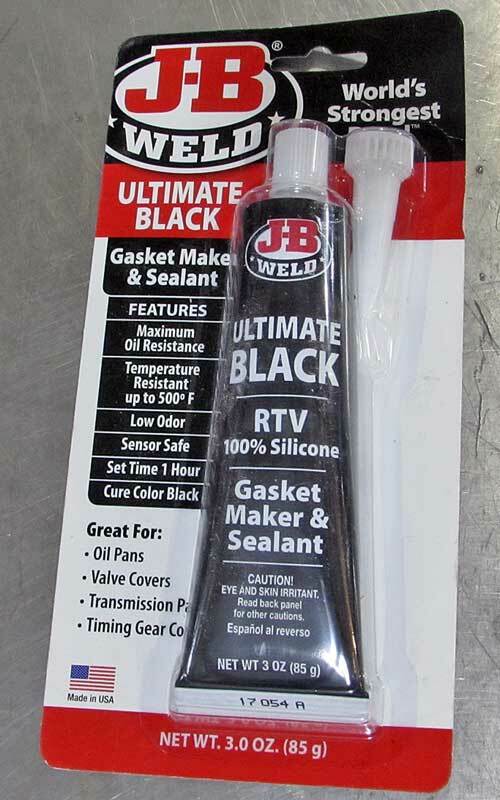 JB Weld Clear RTV is mold and mildew resistant, and works on ceramics, cloth/carpet, glass, rubber, and metal. Whether you are sealing a windshield, gluing glass to atrack or just don’t want the repair to be noticed, clear is the best choice. Working with RTV is easy and clean up is simple too. One note we should mention is that RTV silicon is not just for semi-permanent seals, it can also be used in applications were repeated removal is necessary. When a semi-permanent seal is made, you apply the silicone, mate the parts and bolt them down. For removable seal, you apply the silicone and allow it to fully cure before installing the part. This creates flexible seal that does not bond to the other side of the mating surface. This can be used for valve covers and other parts that require regular removal. The caveat here is that you have to use just the right about of build-up and ensure that the silicone is in the right place to yield a proper seal. When you have to seal a part, RTV silicone is usually a good solution, but special applications often call for a special version of RTV. In most cases, you can switch out the color without much issue. Just make sure you replace the cap, as RTV will cure the entire tube within a few days if left open. 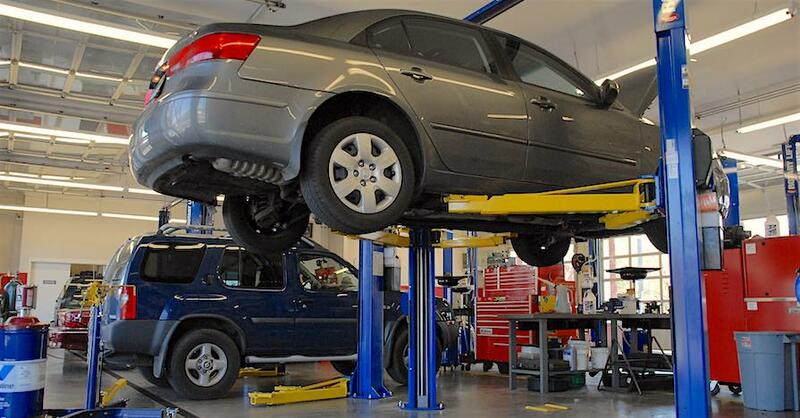 Check out all the chemical products available on NAPA Online or trust one of our 17,000 NAPA AutoCare locations for routine maintenance and repairs. For more information on RTV silicone, chat with a knowledgeable expert at your local NAPA AUTO PARTS store.